Rayanna Carter prepares to catch a pass at Baxter Arena. Photo courtesy Kenneth Pancake. Omaha split their two games this week against opponents from the state of North Dakota. Their first opponent was North Dakota State on Jan. 6, resulting in a big win for a normally-reserved offense. Their second (an away game on Jan. 9 against North Dakota) was more of what fans have been accustomed to this season–a low-scoring defensive battle that ultimately went North Dakota’s way. The team entered the first game with a record of 9-5, and two losses in the Summit League to begin the season. That may explain why Head Coach Brittany Lange saw the North Dakota State matchup as a must-win game. Omaha defeated the Bison by a score of 78-61. Rayanna Carter and Claire Killian scored 16 points each as they led the team to victory. “One of the biggest things we talk about is weathering the storm, so I feel like we weathered it,” Carters said after the game. Carter was 2-3 from the three-point line, adding a rebound and two assists. Josie Filer led the team in rebounds (eight), while Mariah Murdie and Elena Pilakouta added seven and six rebounds, respectively. It was only the fourth time that UNO had scored more than 60 points this season and only the third against a Division I opponent. Omaha opened the season with a 96-69 victory against USC Upstate and defeated NAIA opponent Graceland 81-39. 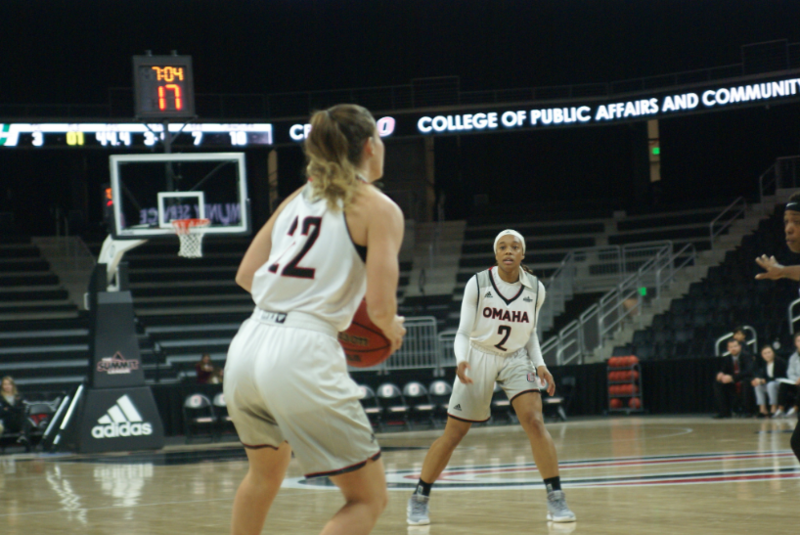 Omaha opened Summit League play by scoring 68 in a losing effort against Denver. The North Dakota game represented that trend–Omaha fell by a score of 68-57. At the time of publication, Omaha sits at seventh in the Summit League, with a conference record of 1-3 (6-10 overall). 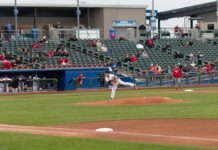 Only the top eight of nine teams will make the postseason conference tournament, after the addition of North Dakota changes the balance of the league. Next, Omaha will look to steal a game on the road against Western Illinois (currently eighth in the Summit) on Jan. 16 at 7 p.m., before facing off against fourth-place South Dakota at Baxter Arena on Jan. 20 at 2 p.m.